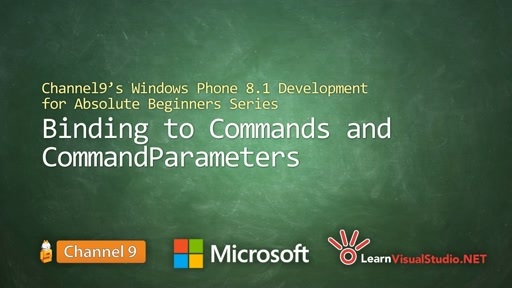 If you recall from the C# Fundamentals For Absolute Beginners Series on Microsoft Virtual Academy and Channel 9, near the end of that series I demonstrated how events work by creating two apps: an ASP.NET Web Forms app and a WPF, or rather, Windows Presentation Foundation app. I took the same basic steps to create both of those apps and they essentially perform the same operation; a button, you click on it, and it displayed a simple “Hello World” message in a label. 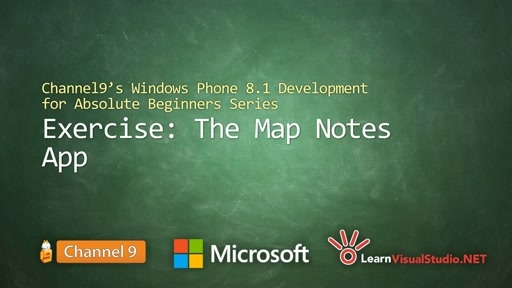 In this lesson, I want to re-create that example, except this time creating a simple Windows Phone app. 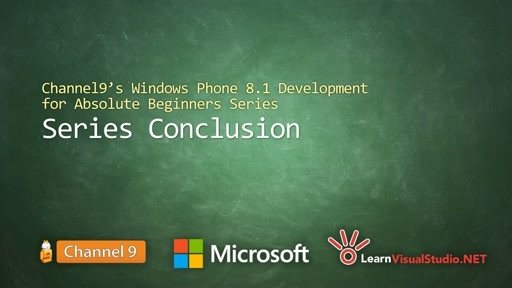 Note: Before we get started, make sure that you already have the Visual Studio 2013 Update 2 installed, which will include the Windows Phone 8.1 Tooling, like we talked about in the previous lesson. If you already have that installed, then we're ready to move forward. You’ll notice that by giving the Button control a name in the Properties window, it generated a x:Name property in XAML and set that Name to “clickMeButton”. The key idea here is that these are three perspectives of the same fundamental object: a Button, a TextBlock, etc. so changes you make in any of the panels affect the others. Having said that, my personal belief is that you will become much more productive using the XAML text editor than the other panes. It will give you a full fidelity control over the properties that control appearance and positioning and as a result, I’ll almost exclusively edit the XAML by hand in this series of lessons. However, for now I’ll continue to make use Properties window as a gentle introduction to building a user interface for our Phone app. I’ll select the TextBlock in the XAML or preview pane, then change its Name in the Properties window to: resultTextBlock. You may find it odd that, by default, XAML controls do not have a Name property already created. 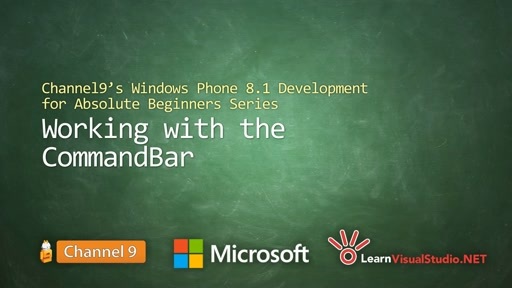 This is because, as we’ll learn, XAML is a very concise language that is used by the Windows Phone API for layout. You only need a name for a control if you plan on accessing that control programmatically in C# code. We’ll do that in a moment. … which will in turn create a method stub in the code behind for our MainPage.xaml. In other words, the MainPage.xaml.cs file opens in the main area of Visual Studio allowing us to write C# code in response to events that are triggered by the user (or in the case of other events, they could possibly be triggered by the life-cycle of the app itself). Inside of the method stub for the clickMeButton_Click event handler, I’ll add one line of code to set the Text property of our resultTextBlock (the TextBlock we added earlier) to the string value “Hello World”. Once we run the app, we’ll see it sitting inside of a software representation of a physical phone. For now, let’s focus on the app itself, and we’ll devote an entire lesson to learning more about the Emulator in an upcoming lesson. Alternatively, you could shut down the Emulator using the large X icon in the toolbar to the right. However that is not necessary. You should get into the habit of leaving the Emulator running even when you’re not debugging. There are two reasons for this. First, the Emulator is running as a virtual machine, and it takes time to “re-boot”. Second, any data that your app saved to the phone between debugging runs will be lost when you shut down the Emulator. 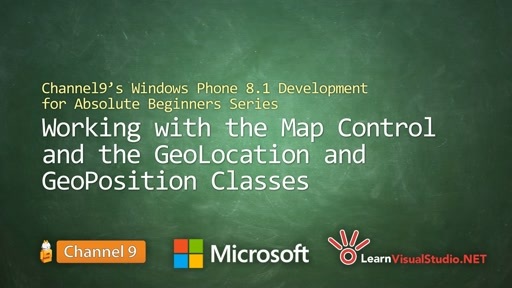 Hopefully you were able to see the relationship between the work we did in XAML and the finished app. There are some key takeaways from this lesson as we're getting started. First of all, you're going to be able to leverage your existing knowledge of creating user interfaces and Visual Studio and apply that to creating Windows Phone Apps. It's easy and it's fun, and certainly there's a lot to learn here, but there's nothing to be intimidated about. We have the option of making changes in the most visual way by dragging and dropping items from the Toolbox onto the designer surface. We see how we created the XAML code, which looks very much like HTML. We'll learn more about this mysterious XAML syntax in the next lesson. We can also make changes in the properties window to modify the various attributes of the controls that we see on screen. Furthermore, just like ASP.NET Web Forms and the Windows Presentation Foundation apps we created, every “screen”, or rather, every Page has a "code-behind" that's associated with it, where we can write event handler code to perform operations whenever the user interacts with our application in a given way. The phone API provides this rich collection of controls and other options, in addition to classes that perform various operations or allow us to retrieve values produced by the Phone’s sensors. As developers we can tap into that API to enable powerful functionality in our apps. The API is similar to working with Windows applications inasmuch that you have classes with properties and methods and events. Some of those affect the life-cycle of the app, some affect the visual qualities, like the visual controls or the layout of the app, and then some affect the navigation from page to page, which we haven't seen yet, but we will discuss in a later lesson. We'll talk about those in detail in just a little bit and they'll help us to build more complex applications. Because they two parts that are compiled together to create one “idea”, one “page” in our app. We'll learn a little bit more about that in the next lesson. Finally, we ran our app in debug mode inside of the Phone Emulator. The Emulator provides a fantastic way to develop and test your apps without having to deploy it to a physical device every single time you want to test some small change in your app. Furthermore, we can use techniques that we learned about in the C# Fundamental Series to set break points and to debug our app in real time as it's running. There's so much more that we can learn about the Emulator, it's various options, that we're going to devote an entire lesson to just that. Bob I love your work you are the greatest. Because of these tutorials my skills with XAML and C# have greatly improved. I am currently working on my first WP app with these guidelines. Thanks. Hi I have Ultimate edition Visual 2013 with update 2 rc and I don't have Store Apps in C# ^^ why ? @dzaggiel: Hi ! Did you try searching "Windows Phone" in the search box at the top-right of the "New Project" window ? can anyone help with that.? Manjot: I am having the same issue. Did you by chance happen to find a solution? and then the code won't work, where have I gone wrong? I had lot of problems with the emulator too. If you do all the tests and the emulator still doesn't work even if it should, then try to upgrade your BIOS, I solved the problem in this way. @Bb Tabor : I'm folliwing your series with great entusiasm, thank you very much! Hi, I have professional edition Visual 2013 with update 2 and I don't have Store Apps in C# ? i am running windows 7, would this be the problem. I have confirmed that the emulators are running in Hyper-V. Also I don't get any errors, it just never builds???? The emulator boots up now, however now I am getting this error. It seems to be an issue with the firewall. Every time I turn off the Firewall it works. Has anyone run into this problem? I am using Symantec Endpoint Protection 12.1.4013.4013. If anyone knows how to create the proper exception for the emulator please let me know. Its a pain to have to start and stop my firewall. Hi Bob again a very good series of lessons. Unfortunately some parts of this series (parts 2,4,5,10,23,24,26,29) are not available in high quality mp4. Did I miss some links? Hiiii,Bob Really it is very nice and helpful. I hope you upload some more these types of videos as soon as possible. I have had problems running the emulator and after hours of googling, looking at posts on the subject etc., it turns out my cpu is not SLAT based. This is essential in order to get the 8.1 emulator to work on your machine. Follow the website instructions and you will be able to find out in five minutes wether or not you will be able to use the emulator with your machine. I cannot, so am instead choosing device (after dev unlocking it) to run my debug previews. Ok i have been at this for 3 days now. I have updated VS express for windows desktop and no windows phone options anywhere in it. I installed VS for windows it had the option for windows phone ,but no user interface to drag buttons onto in that version. Plus it did not give me the option to choose the version of windows phone. I have tried everything i know how and that people on several forums have suggested and nothing works. I really want to learn to make WP apps,but can't. Thanks anyone who can help. I am using VISUAL STUDIO 2013 on my WINDOWS 8.1 OS. Following problem is occuring while running my project through emulator. My PC's processor supports SLAT and HARDWARE VIRTUALISATION too. 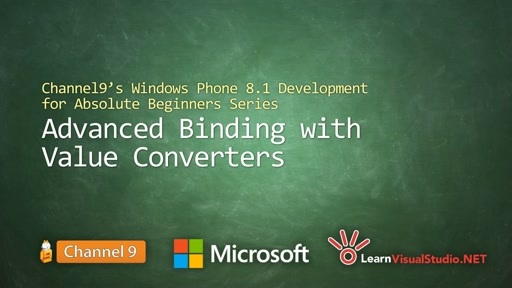 -Windows 8 professional (64 bit)"
Your videos are really excellent.I am new to Windows 8.1 app development. I have installed Visual studio Pro 2013 trial version with update 4.I want to develop app for tablet for industrial use.when I am creating project i am not able to see Universal apps option under Store apps.I have another question whatever apps developed under Windows Phone apps can it be used on tablet?. Great vid! Could I use my actual Windows Phone as a method of debugging my Windows Phone app? If so, how would I go about configuring this in VS? 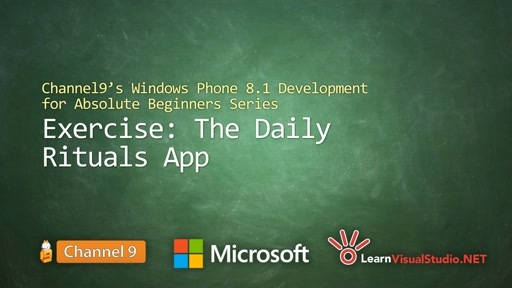 Program Files (86x)/Microsoft SDKs/Windows Phone/v8.1/ThemeResources.xaml . Just don't feel like going back to VS2012 or defining anything when i can use styles in that file. I am running Windows 8 Enterprise trial. Is it possible for me to make a Windows Phone 8.1 app running Visual Studio Community 2013?